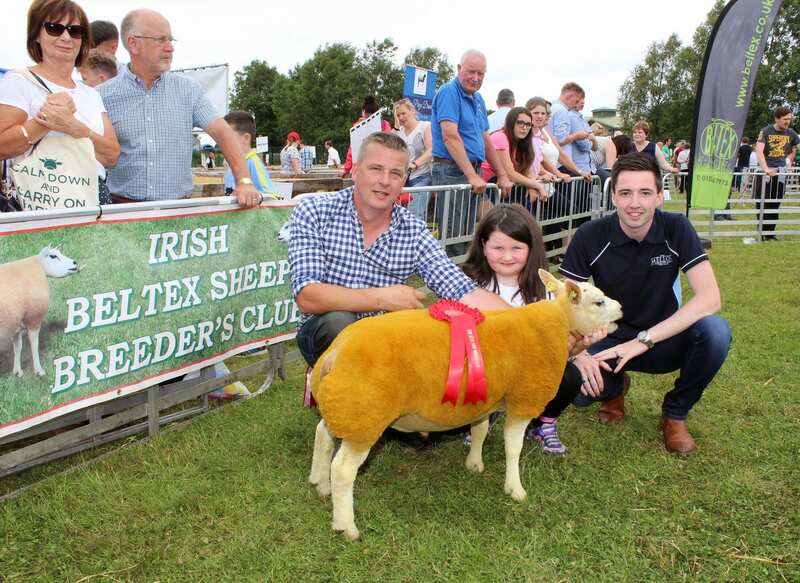 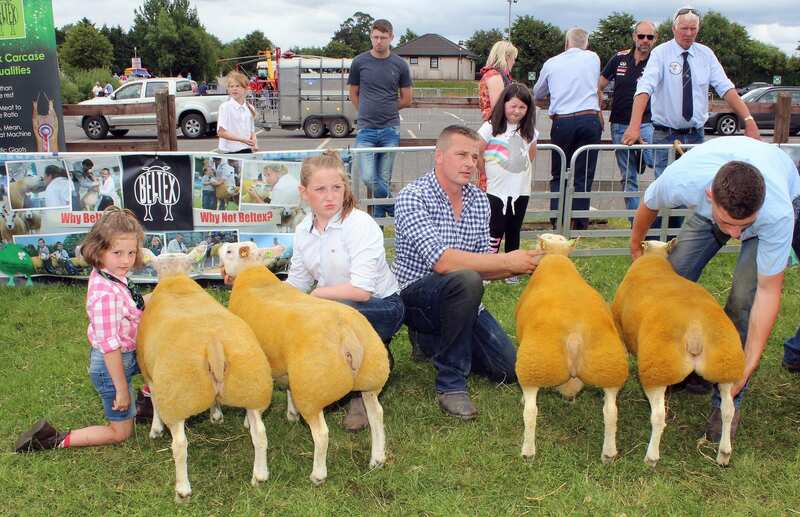 A Shearling Ewe, Matt’s Curious, from Matthew Burleigh’s Matt’s Flock in Enniskillen won the Irish Beltex Sheep Breeders Club National Championship at Omagh Show. 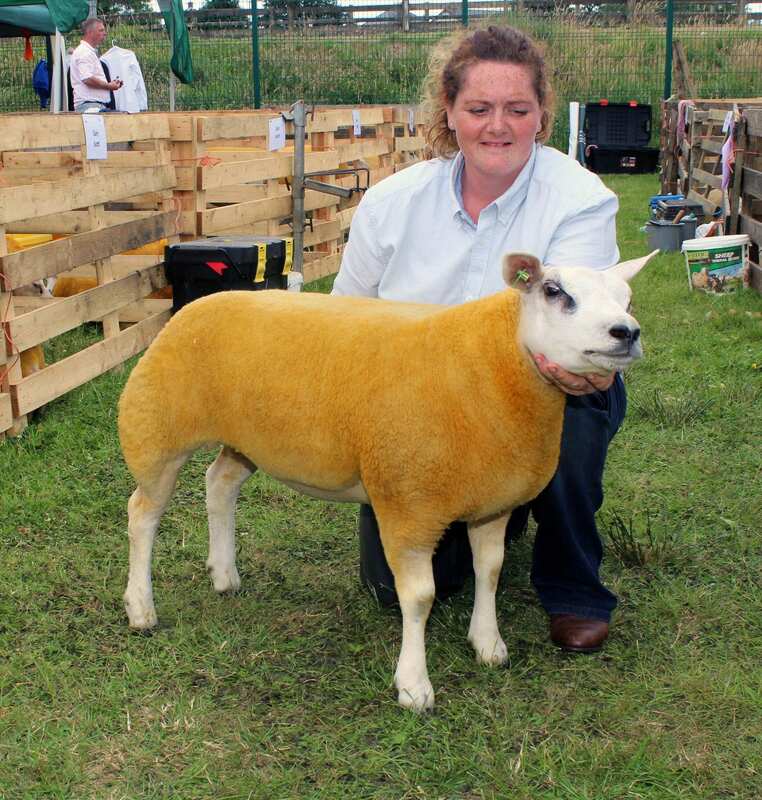 The Reserve Champion title went to Elizabeth McAllister’s second placed Shearling Ewe, Artnagullion Cashmere. 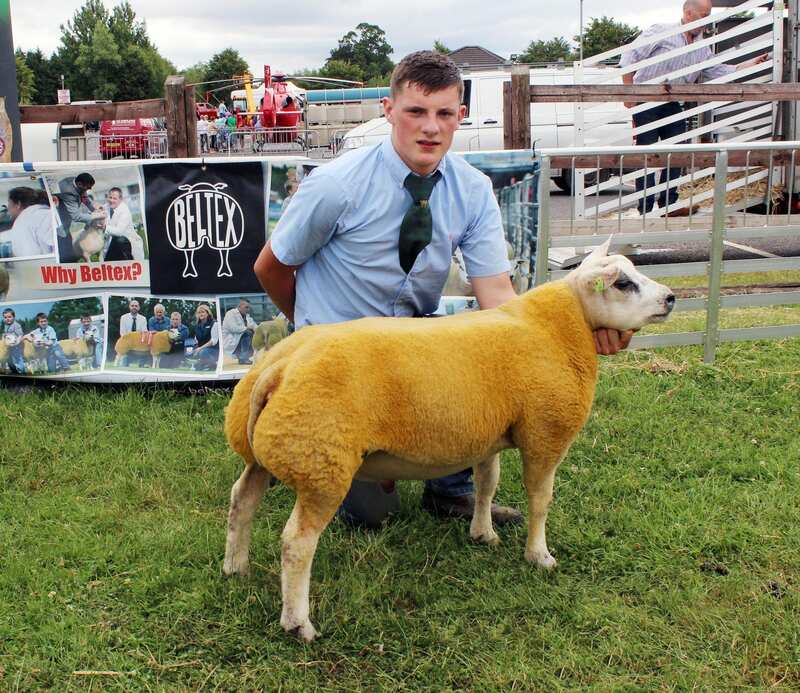 Matthew’s Supreme Champion Shearling Ewe was sired by Hackney Wonderboy with the Dam, Matt’s Adelle, a home-bred ewe.Matthew Burleigh had a hat-trick of wins in the female classes, taking the Aged Ewe title as well as winning the Ewe Lamb class, born before March 2018. 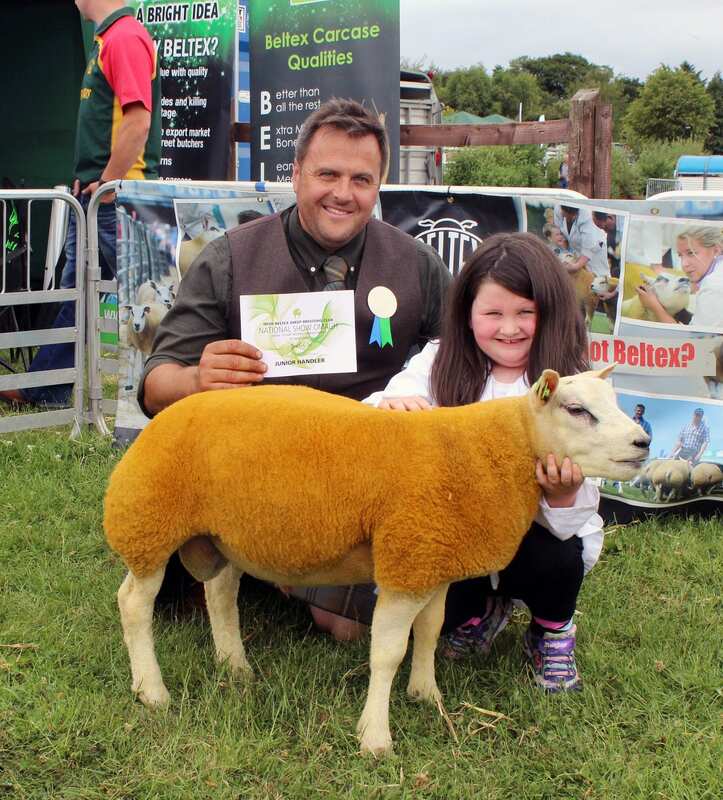 His Ewe Lamb also went on to enjoy success in the Interbreed Championships. 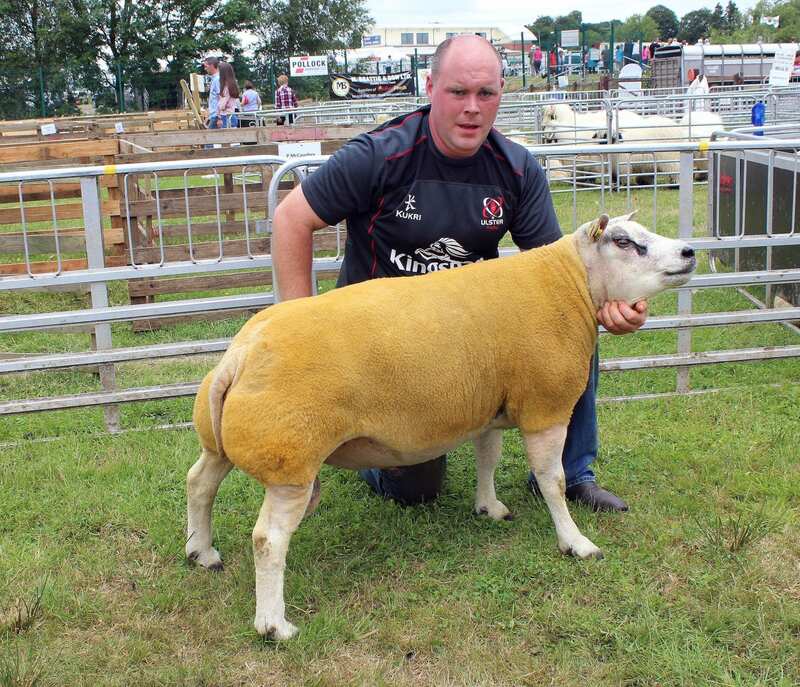 He was also presented with the Shortt Trophy Shield by Omagh Show. 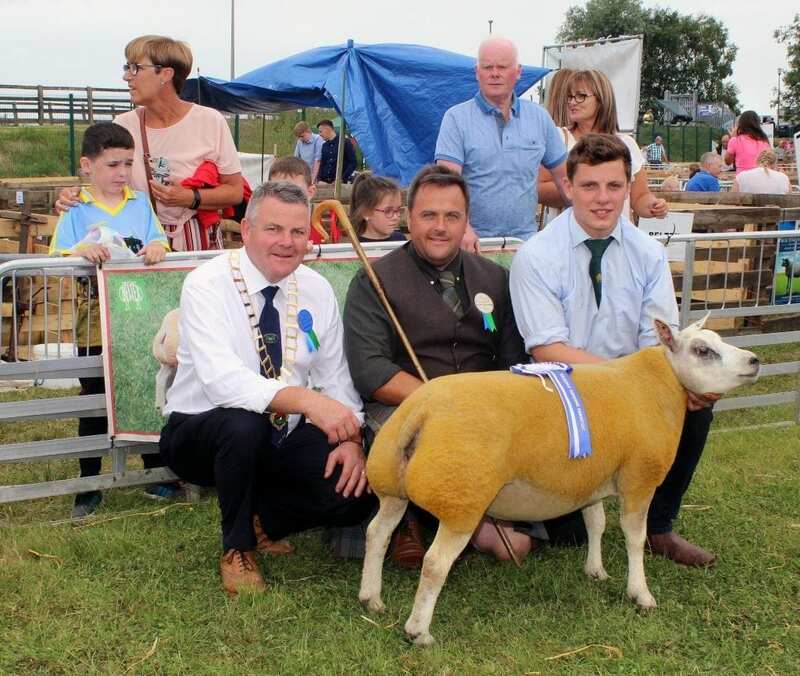 Elizabeth McAllister also had further success winning the Ram Lamb born before March 2018 class as well as taking top spot in the Ewe Lamb born after March 2018 class. 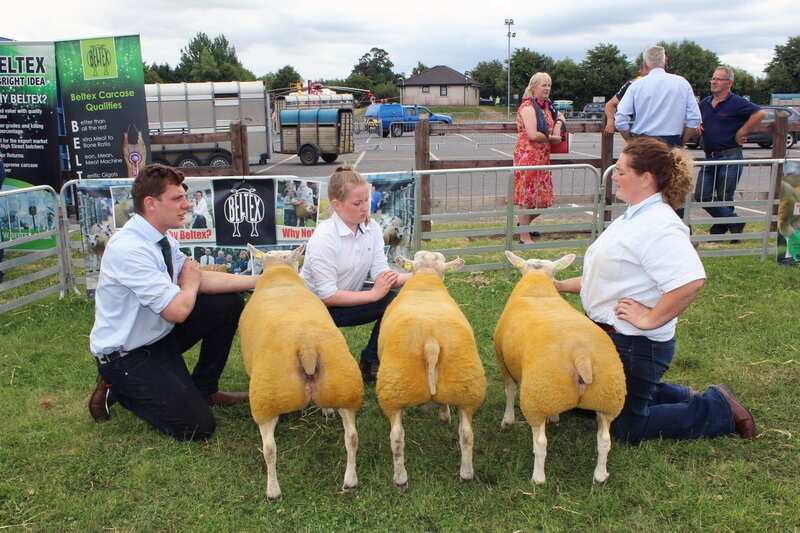 Her Artnagullion Flock also won the Pairs competition and the Group of Three. 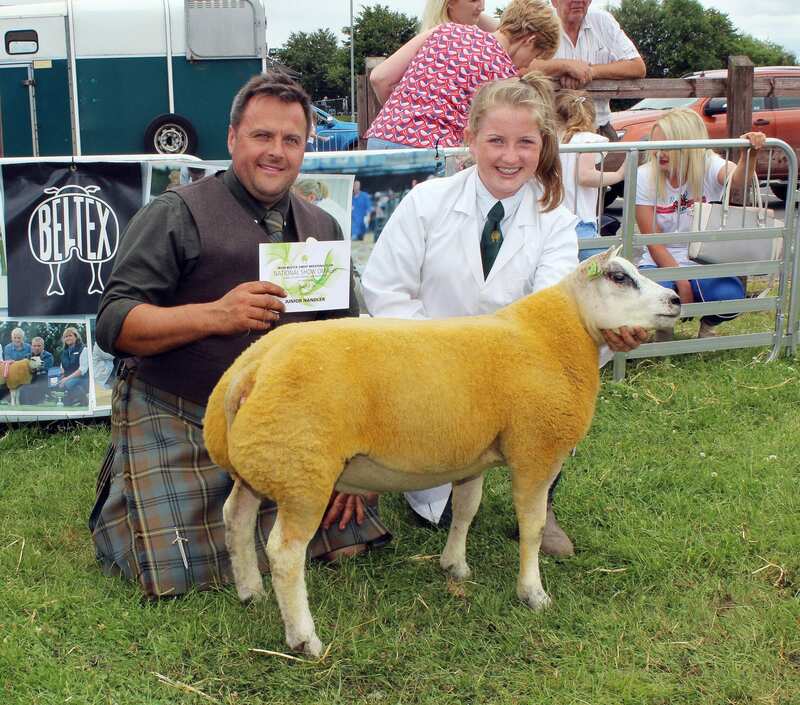 Elizabeth’s Reserve Champion Shearling Ewe was sired by Ardstewart Blue Boy with the Dam being a home-bred ewe. 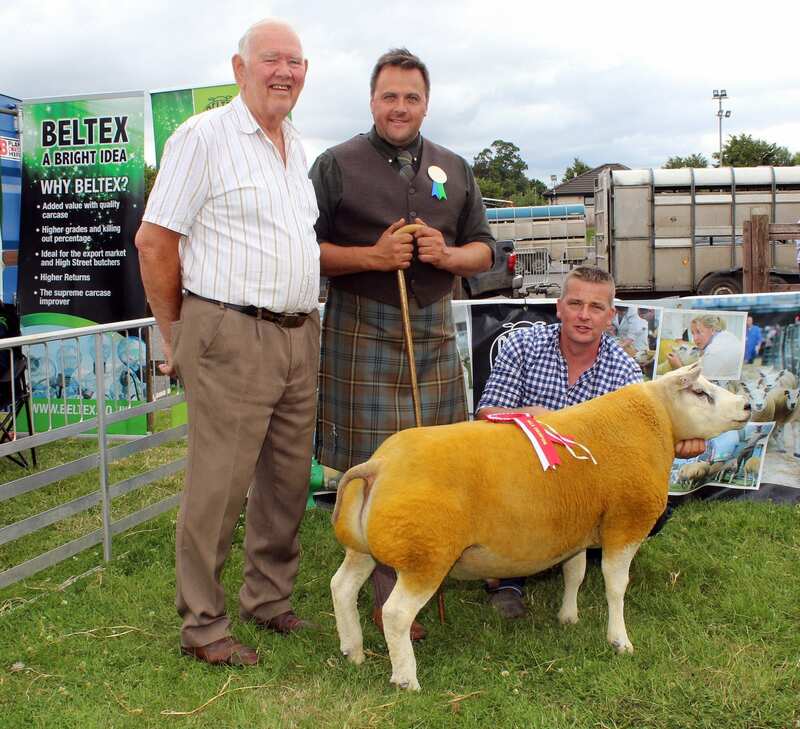 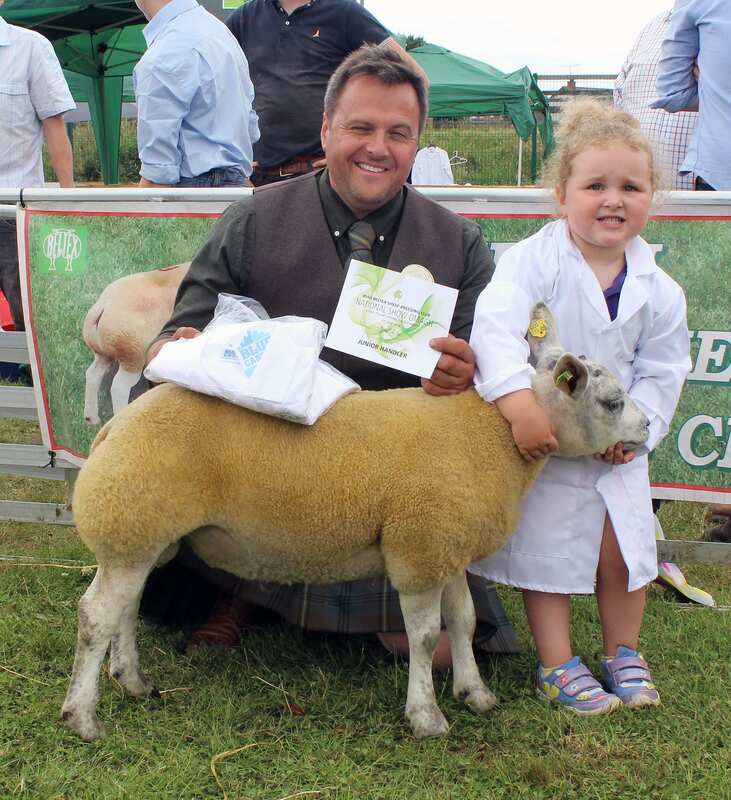 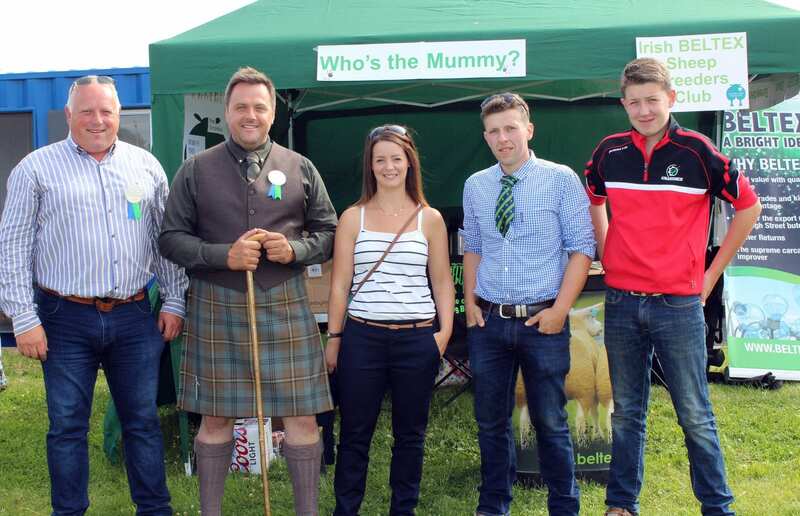 Judging was by this year’s Beltex Royal Highland Show winner, Stuart Wood from Aberdeen. 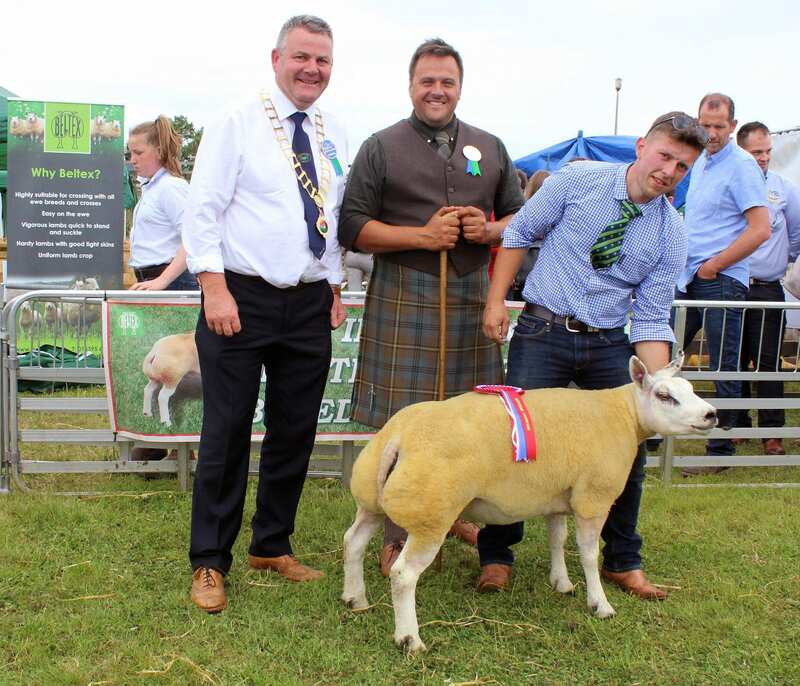 Commenting on his choice of Champions Stuart said: “The Supreme Champion gimmer was a very good correct natural gimmer who has great length presence and hard muscle.